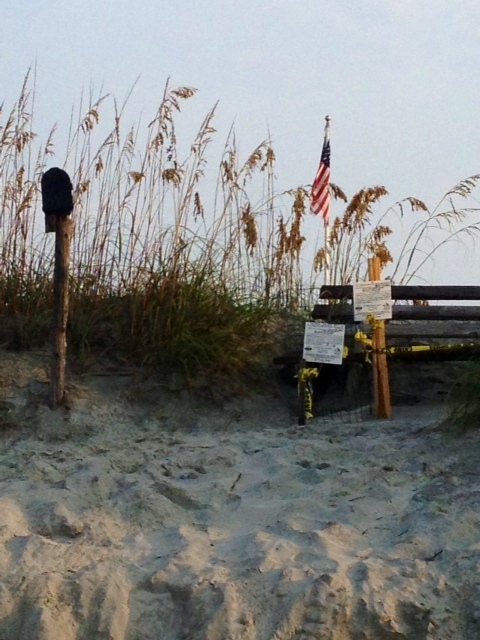 On my weekly bike ride over to the island this week I saw something I had never seen before in my 17 years of living at the beach. I saw a turtle nest and the volunteers for the watch program gathering each egg and moving them higher up on the dune to protect them from danger. This particular turtle had chosen her spot right next to the Kindred Spirit Mailbox, I guess she heard about the famous landmark too? 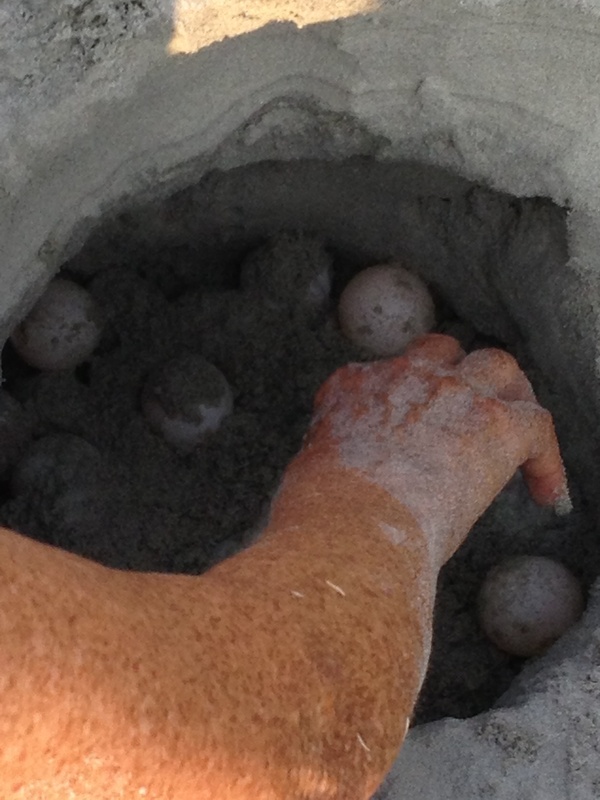 It was an amazing thing to see, just one sea turtle had laid 115 eggs! 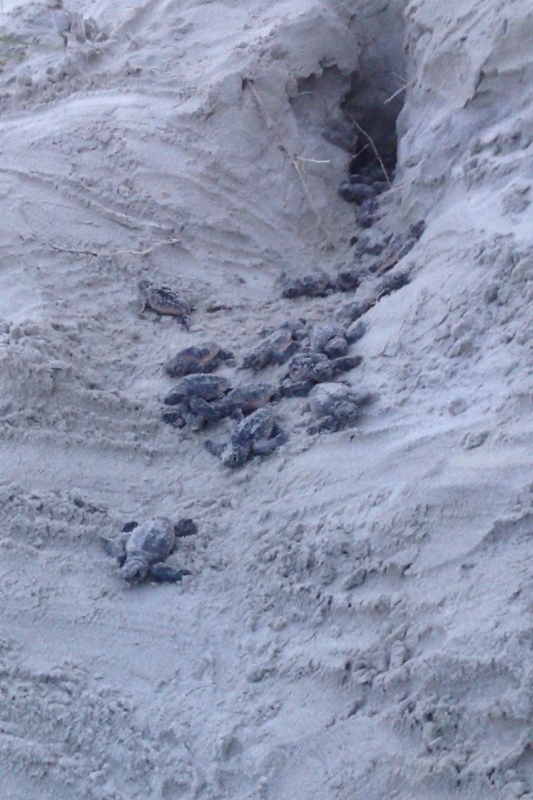 My friend went back the following evening and was lucky enough to see another nest hatch and watch them as they crawled out to the ocean. It was such an amazing sight to behold, and it’s one of the wonderful and unique parts of living in this area. 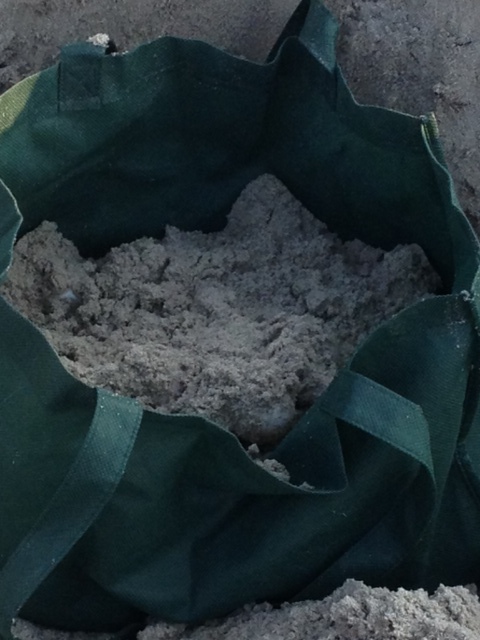 If you’d like to get involved with helping the sea turtles and their nests, The Sunset Beach Turtle Watch is always looking for volunteers, even for something as simple as a 30-minute beach cleanup. 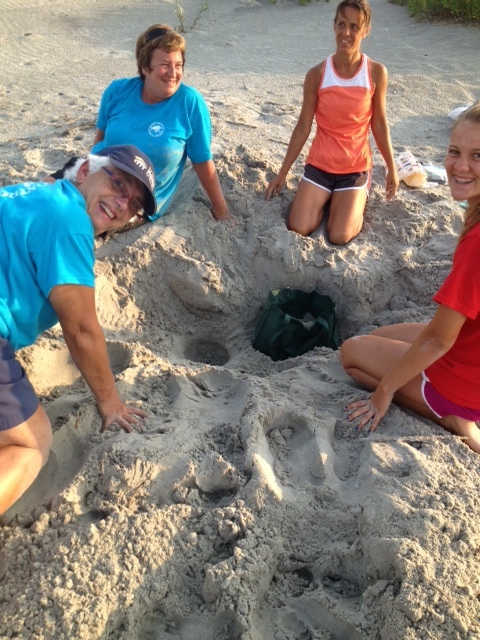 You can find out more information or contact them through their website www.sunsetbeachturtles.org. Turtle Patrol is on the Job!